Home » World » Asia-pacific » Passengers of MH370 Suffocated, Flight Was On Autopilot – New Reports Reveal! Passengers of MH370 Suffocated, Flight Was On Autopilot – New Reports Reveal! 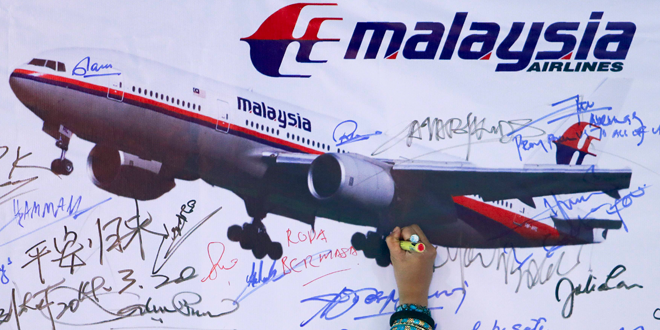 The Australian Investigators of the Malaysian Airlines MH370 has released a report that suggests that the passengers of the Boeing 777 probably ran out of oxygen calling all passengers and flight crew to suffer hypoxia. Which could explain why no one from the flight tried to contact anyone on ground. Moreover the report also suggests that the flight was on autopilot which explains how the flight stayed on a straight path before it crashed somewhere in the Indian Ocean. The plane is missing and there is no new evidence, but investigators from the Australian Safety Board came to the conclusion by comparing the flight with disasters in the past with similar outcomes. “Given these observations, the final stages of the unresponsive crew/hypoxia event type appeared to best fit the available evidence for the final period of MH370′s flight when it was heading in a generally southerly direction,” the report stated. Investigators believe that the plane was diverted thousands of miles from its scheduled route before finally diving down somewhere in the Indian Ocean. The little evidence there is to go on suggests that the plane crashed further south than previously thought, and that it was probably coasting on autopilot at the time of the crash. “It is highly, highly likely that the aircraft was on autopilot otherwise it could not have followed the orderly path that has been identified through the satellite sightings,” Australian Deputy Prime Minister Warren Truss told media in Canberra on Thursday. The report narrowed down possible crash sites from thousands of possibilities, while noting the lack of communication, the steady flight path, and several other abnormalities over the course of the doomed flight. This next phase of the search is expected to start August and last one full year, covering more than 23,000 square miles and at a cost of about 56 million dollars.